This is the perfect ham, every time. What kind of ham, you ask? Well, it just doesn’t matter. You can buy a canned ham, whole ham, bone-in, or spiral sliced–whatever kind your budget allows. 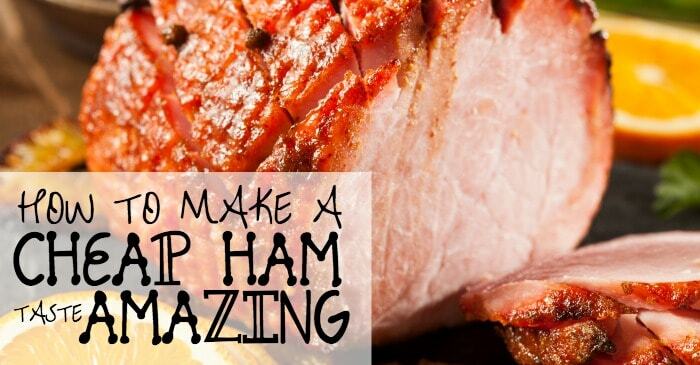 Once you’ve prepared your ham according to this recipe, it will be the best ham you’ve ever eaten, every single time. And the best part is, it’s easy and there’s no way you can mess this up. 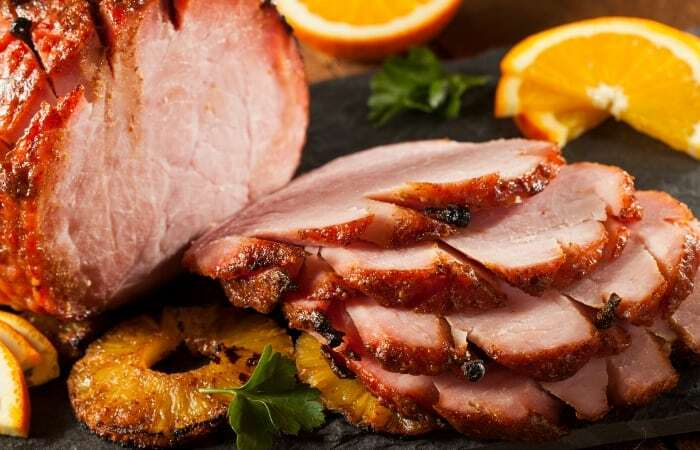 Trust me, just follow these steps for How to Make a Cheap Ham Taste Amazing and your guests will be totally none-the-wiser that you didn’t spend a ton on that awesome spiral-sliced. 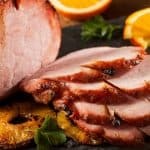 Remove Ham from wrapping and place on cutting board. Insert 1 Clove into each square created by the cross-hatch cuts. Place the Ham into the Roasting Pan. Pour the Beer over the Ham. Place the Ham into the oven, uncovered. Bake for approximately 30 minutes. While the Ham is cooking with the Beer on it, mix the Pineapple Juice and Brown Sugar. Remove the Ham from the oven and pour off the Beer and juice. Pour 1/2 to 3/4 of the Pineapple Juice and Brown Sugar mixture over the ham. Place the Ham back in the oven, and bake for approximately 15 minutes per pound. During the last 45 minutes of baking, increase the oven temperature to 425⁰ and baste every 15 minutes with the remaining glaze. 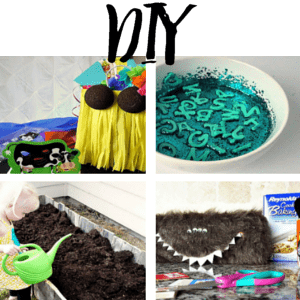 Do not let the roasting pan become dry. If necessary, pour some water into the roasting pan. Remove from the oven, then remove and discard the cloves. 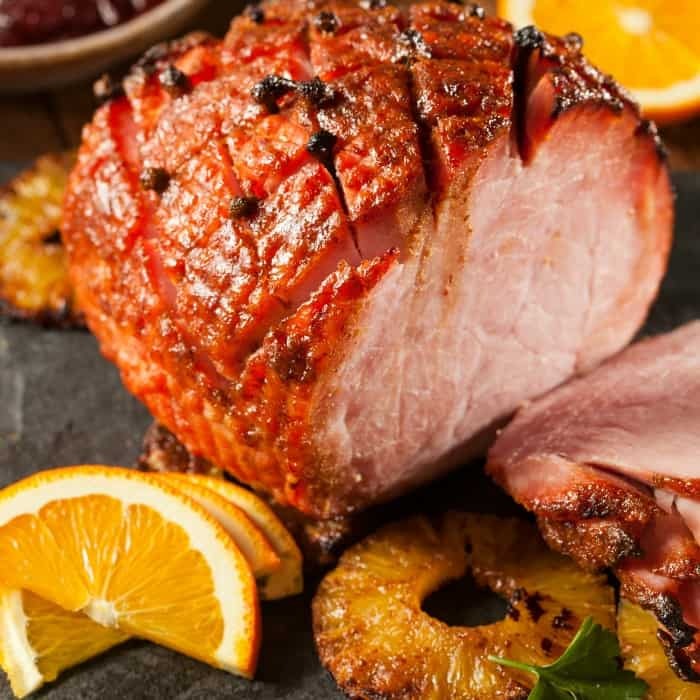 If you really want to dress the ham up, top with pineapple rings and place cherries in the center of the pineapple rings, about 15 minutes before baking is complete. 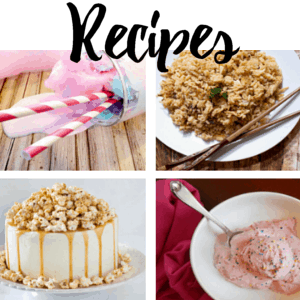 The secret to this recipe is the Beer. The beer will prevent the ham tasting too salty, and will ensure a moist and tender dish. If you prefer to start with an un-cooked ham, just adjust cooking time and temperatures according to the package directions. You’ll still end up with the perfect ham that tastes amazing. Remove Ham for wrapping and place on cutting board. Remove the Ham from the oven and pour off (and discard) the Beer and juice. Place the Ham back into the oven, and bake for approximately 15 minutes per pound.